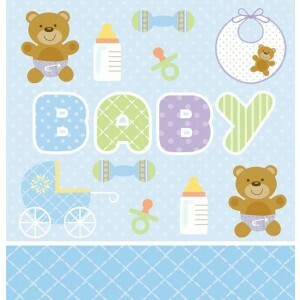 A large blue teddy bear baby themed plastic tablecover. 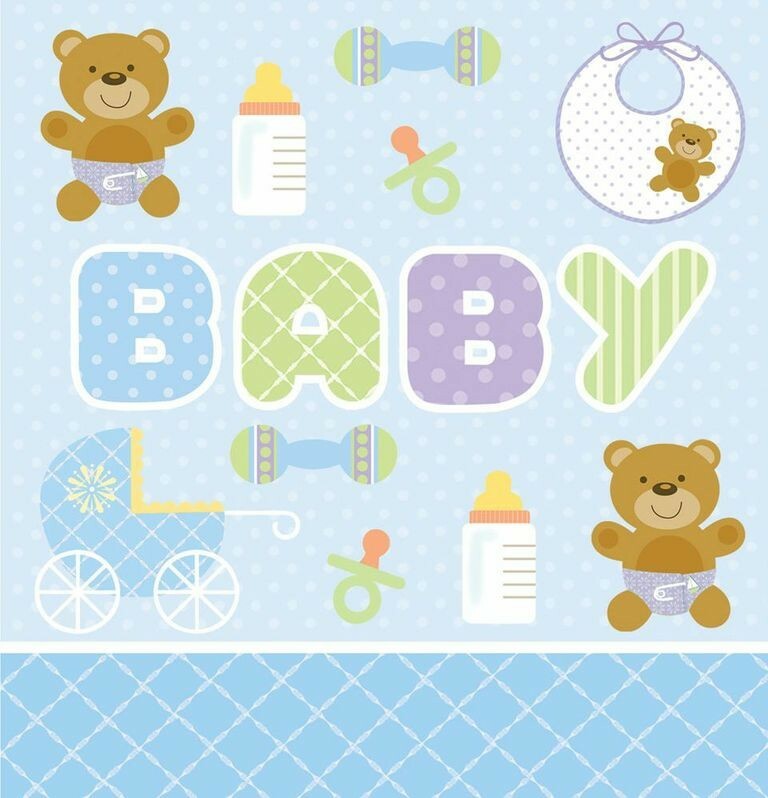 The tablecover has a border of cute teddy bears with the wording baby. Ideal for a baby boy themed party.